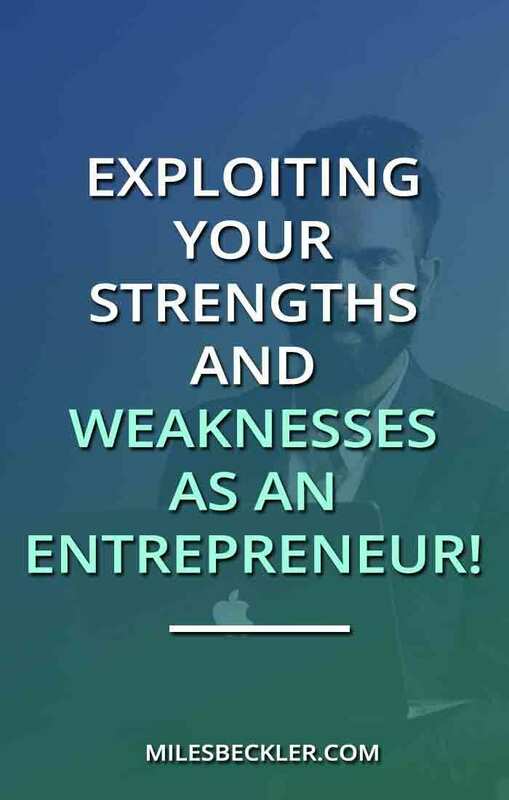 Exploiting Your Strengths And Weaknesses As An Entrepreneur! A successful business is built on personal strengths. So if you want your business to thrive and not just survive, make a list of strengths and weaknesses and capitalize on your strengths. Not sure how to know your strengths and weaknesses? No biggie. You’ll get to it before you finish reading this post. I’ll share with you a diagram that you can use to help you figure out your strengths and turn them into super powerful tools to get your business rocking to infinity and beyond!!! You’ll learn what to do with those too. Improve Your Weaknesses or Focus on Your Strengths? Wondering if you should quit your job and become an internet marketer? Are you ready to start an online business that’ll bring you the lifestyle design you desire? If you want to fire your boss and take your desire of entrepreneurship to the next level, you have to make sure your business is built on a very important aspect of your unfair advantage and focus on your strengths. What you’re awesome at, things others are only decent at doing, these are what it takes to propel your business from zero to hero as quickly as possible. Not your weaknesses, but your strengths. From brand building to building ideas to hitting the 5 steps to a successful online business, your income is tied to value and that is born from your strengths. Everybody knows Tiger Woods as a golf Ninja. But what most people don’t know is that he does have his own weaknesses when it comes to golf. In fact, sand traps are his greatest challenge. He was aware of that fact and really struggled with it when he was first starting out. But that didn’t stop him from snagging one trophy, one title after another. Sure, sand traps were a royal pain to him, but his strengths are what took him to the top. He’s got a powerful drive, and his coach knew that. So what did his coach do? Made him work on the aspects of his game that were within his strengths. He worked on his drive and approach shots to make sure they don’t go to sand traps. His weakness still remains as a weakness but his strengths made him win. He avoided the sand traps! Your weaknesses are easy to spot. It’s those things that don’t flow well with you. Sometimes it’s just personality, and that’s fine. That’s why no one is just like you! But if you focus on your strengths, you can achieve excellence in those areas because you have a natural head start. However, you can only improve on a weakness so much. Don’t waste a bunch of your precious time working on your weaknesses, focus on your strengths instead. The time spent on your strengths is what will empower you to crush it in your business. Was it easy to make a list of weaknesses but still struggling to know what are your strengths? Here are 4 questions to start this critical strength exploration and then I will help you draw these out so you can crush it. 1. What Do Other People Say You’re Naturally Good At? What do people come to you for because they know you’re good at it? Do you have a green thumb? Do your friends come to your for gardening advice? Maybe you’re the one person in your family that knows how to work on cars and people ask you for your help with theirs. When people you’re close with have a problem, are you always their designated confidant/ counselor? What is it that other people say you’re great at? 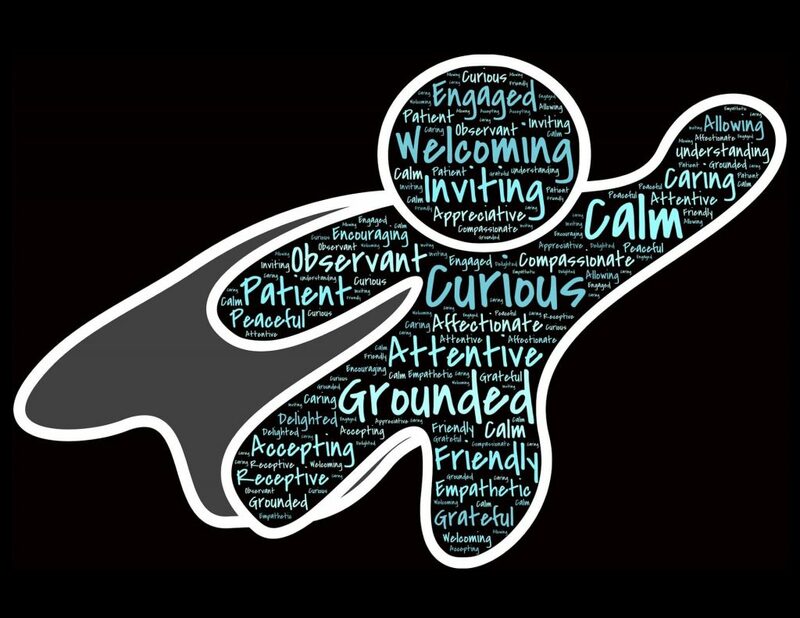 That’s one way to figure out your strengths that you can turn into super strengths for your business. Are you charismatic and able to move a room? Are you good at teaching and explaining concepts? Are you good with numbers, planning or delegating tasks? These and so many more, are the kinds of strengths that you can use when growing your online business. What people say you’re good at can be used to choose your niche or run the day to day operations of your business. Ask your best friend, your mom, your colleagues, anyone who knows you well what you’re good at and capitalize on that strength. 2. What Were You Naturally Good at as a Kid? Try to recall the things that came naturally to you as a child. Stuff you really enjoyed and gravitated toward. Were you always good at memorizing stuff? Do you find it so super easy and effortless to study, do research, take complex ideas and break them down effectively? Got a knack for designing and color and all that artsy fartsy stuff? 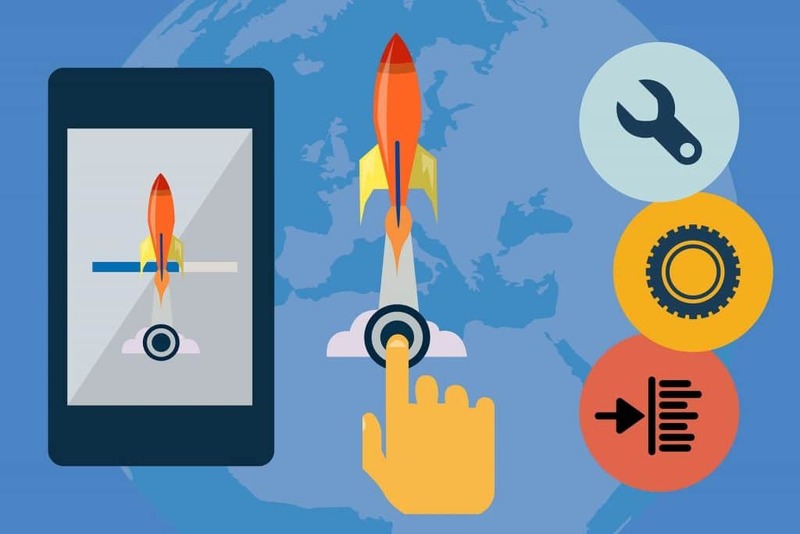 If you’ve always been quick and efficient at memorizing and learning things then you can totally take these skills to the next level in your business by doing market research, competition research, or learning the ins and outs of paid advertising or whatever it is you want to do for your business. If you’ve always had a knack for designing, make killer design stuff for your website or run a web design business. Been playing basketball from the time you could walk and have been playing for decades? Take your strengths and do a 90-day content creation challenge how-tos, stories, hacks or anything else that’ll bring your audience value, that’s what it’s all about my friends. Make YouTube videos, write blogs, create a podcast, write a book, or an eBook, and be the authority that you are in this sport. 3. What Do You Learn Quickly? From unknown to fun, what are the things that you’re able to learn about easily? Think about topics that you find you’re able to learn quickly. Maybe it takes days for some people to grasp even the most basic concepts of gardening but you can grow herbs like a pro after just watching a YouTube video about it. When you are surrounded with so many topics to choose from, which one do you absorb without much effort at all? Facebook marketing? SEO writing, graphic designing, website development? If you can learn something quickly then that shortens the learning curve and gets you ahead of the pack without having to try too hard. 4. What Comes Easy to You That’s Difficult to Others? Everything is tough for different people. Baking, copywriting, woodworking, raising kids, soldering, home theater optimization, golf, frisbee golf, intimacy with your spouse, running every day, name it. What comes easily to you that is difficult for others? This is super simple, everyone already gets it right? Look inside of you and discover things that come naturally to you and build a business around that. Help people overcome their challenges and solve their problems with your courses, recommendations, products. They’ll know, like, trust you because you can help them and the stuff you offer them is legit and the real deal. I came up with this diagram with the highest likelihood of uncovering your greatest opportunity for you to be of service to an audience. Let’s finish up your lists of strengths and move your business forward. What’s that thing that you have the most experience in? Do you have a vast experience in customer service, collegiate basketball, video games? Remote control cars, writing, gardening? It could be a hobby-based experience or something you’ve been doing for a very long time. Reflect on the experiences and skills you possess that make you YOU because that’s the strength you’re looking for. Maybe you’ve been in customer service for 10 years, content writing since 2010, or you’ve been in the graphic designing realm since college, or feeding a family healthy and on a budget for 15 years. Determine that space where you have the most experience and skills and create an information product around those life experiences. It could be a Bachelor’s Degree in Physical Education or an Associates in TV Broadcasting or maybe you have a Ph.D. in Philosophy. Or perhaps you’ve studied something else outside of college, spending a good chunk of time researching, going down the self-taught road learning everything you can about internet marketing, gardening, vegan cooking, yoga, etc. Melanie studied spirituality at an incredible pace, devoured and consumed more information than anyone else in that field. She has so much to bring to the table because of her education and knowledge. Aside from being a natural content creator, she never runs out of things to write about because of the exhausting amount of information she knows about spirituality. Find that sweet spot and use your education and knowledge as a strength to become successful in your business. Look back to what comes naturally easy to you. Able to interpersonally connect and put a smile on peoples faces? Then you’re a natural talker who can crush YouTube! You don’t even have to try creating videos that captivate people because you’re naturally great at it. Did you grow up with the internet? Are you proficient in and have spent a copious amount of time on the web? Use your natural ability to research, to investigate, and focus on using it in your business. You can utilize that ability to run your own online business or gain more clients for internet-based jobs. Make a list of strengths-based on your natural abilities that you can use to set up and take off your business because you’re several steps ahead of the crowd in that niche. Not everyone’s easily in touch with their strengths and weaknesses. It’s just not something you think about most of the time or bother spending time on. But you need to analyze the different pieces of the triad the $$$ revolves around. 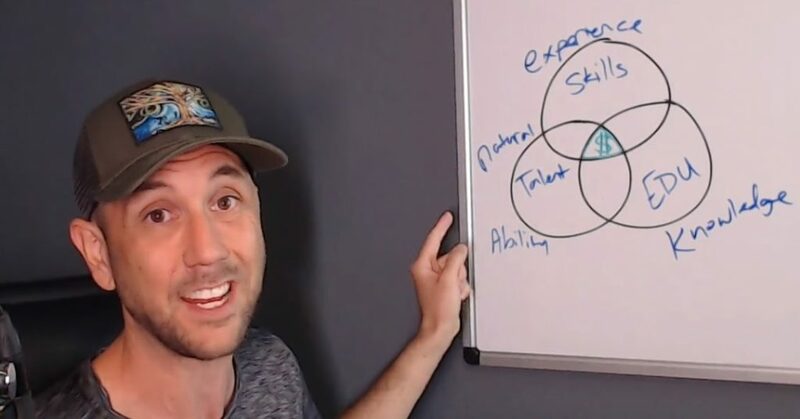 A combination of these three things - experience, education, and natural abilities can lead you to a thriving, money-making machine of a business! Take the time to go deep in introspection, answer the what’s, why's and how’s of a successful business - what you can do to help people, who can you help, and how can you be of service to others. Know what you gravitate towards and focus on your strengths, knowledge, and talents to crush your online business, so you can quit the 9-5 you dread and step into the life you’re excited to live. Exploit your strengths and weaknesses! What were weaknesses that have been holding you back? What strengths are you going to focus on after reading this? Have any questions? Let me know in the comments below, let’s connect.